The industrial producers price index declined by 1.1% month on month in December. From the perspective of annual growth, price growth slowed down from November's 3.9% to 2.4% YoY. The main reason behind such a slowdown was the drop in oil prices at the end of 2018. 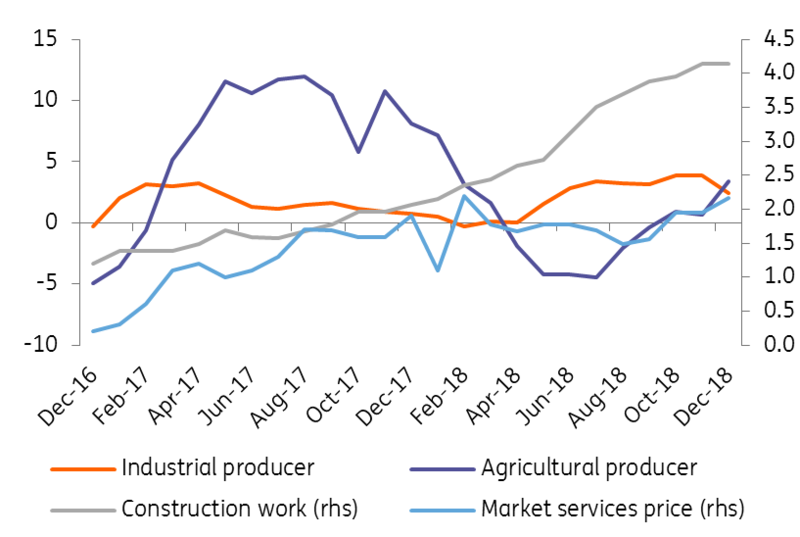 Other producer prices followed the trend of the last few months in December, with construction work prices growing by 4.1% YoY, service prices by 2.2% YoY and agricultural producer prices accelerating strongly by 3.4% YoY. For 2018, producer prices continued to accelerate slightly in comparison to previous years, except for agricultural producers, where prices just stagnated after the strong growth in 2017. Generally, however, producer prices had begun to grow again in the last two years after their decline or stagnation between 2012-2016. Their growth for the whole year was the highest in a decade in the case of market service prices and construction works prices and the highest in the past six years for industrial producers’ prices. Producer prices are expected to grow this year. Agricultural prices due to poor harvests last year, in the case of services and construction, due to lack of capacities and wage growth. Industrial producers’ prices are likely to decelerate due to lower oil prices, but overall, producer prices will be a pro-inflation factor this year. Unless there is a significant slowdown in the global economy, the Czech central bank will be able to continue tightening monetary policy, albeit at a significantly slower pace compared to 2018. 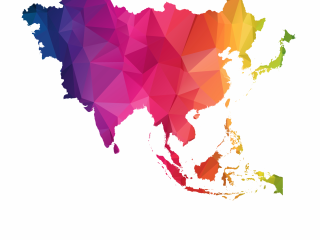 Although the market expectations are rather pessimistic at the moment regarding more hikes, we still believe at least two hikes in 2019 are a likely scenario.